lisa is cooking: Michael Ruhlman, What Are You Reading? Michael Ruhlman, What Are You Reading? What Are You Reading is a new feature that will appear from time to time here on lisa is cooking. I’ve been open about my obsession with books and food publications, and I thought it might be fun to ask around and find out what other people are reading. I want to know what people have read lately that was interesting or inspiring. So instead of asking what’s your favorite book ever, I’m asking what are you reading? 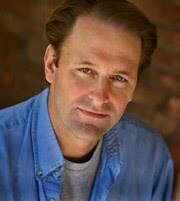 Michael Ruhlman has appeared on several television shows including Cooking Under Fire on PBS, was a judge on the Next Iron Chef on the Food Network, appears occasionally as a judge on Iron Chef America, and has been a featured guest on Anthony Bourdain’s No Reservations. His most recent book is Ratio: The Simple Codes Behind the Craft of Everyday Cooking , and he recently co-authored the cookbooks Ad Hoc at Home and Michael Symon's Live to Cook . More of his informative and thought-provoking writing as well as stunning photography by Donna Ruhlman can be found on his blog. I wanted to know: Michael Ruhlman, what are you reading? 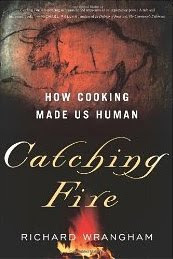 Michael: I most recently finished Catching Fire: How Cooking Made Us Human . A delightful and compelling read, the book argues that it was the eating of cooked food that shaped our bodies into what they are today and shaped our society. Also, I’ve been reading The New Yorker food issue with excellent stories on taste creation, Michelin restaurant evaluators, and Calvin Trillin. 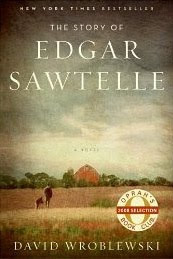 I’m currently finishing much needed non-food reading, The Story of Edgar Sawtelle , an excellent long novel. Thank you for participating, Michael! Check back to see who answers the question next time and what other books are recommended. I'm really liking this new feature, Lisa. Michael Ruhlman is amazing, and I have Ratio and The Elements of Cooking on my bedside table. They're good reading any time of the day (or night). How cool that you got to interview Michael Ruhlman! Great new feature! Really enjoying it. I read Edgar Sawtelle last year. I won't comment on it until you've finished it. I just finished and really enjoyed The Help by Kathryn Stockett and I'm starting on A Town Like Alice by Nevil Shute. At the moment, gardening books and magazines. I should think about list for summer reading too. Thanks for the idea Lisa! Wow, Lisa! What a brilliant idea!!! Guns, Germs and Steel is one of my favorite books, I am sure you will love it, very informative, interesting, I could not put it down. Sally: Very ok, I encourage it! I learned so much from GGS and have Diamond's Collapse as well but haven't read it yet. I just got Ratio based on Leela's at SheSimmers strong recommendation. Catching Fire - is a wonderfully interesting book. I totally second that recommendation. I love this new feature of yours! Catching Fire sound like a good read.